I had posted earlier that I had been unable to find the grave of the above named. I have since discovered that part of the reason that I had not seen it is because it is completely covered with algae/lichen. This man, a former Deputy Lieutenant and Vice-Lord Lieutenant of Moray as well as Vice Chairman, Imperial War Graves Commission, deserves better. 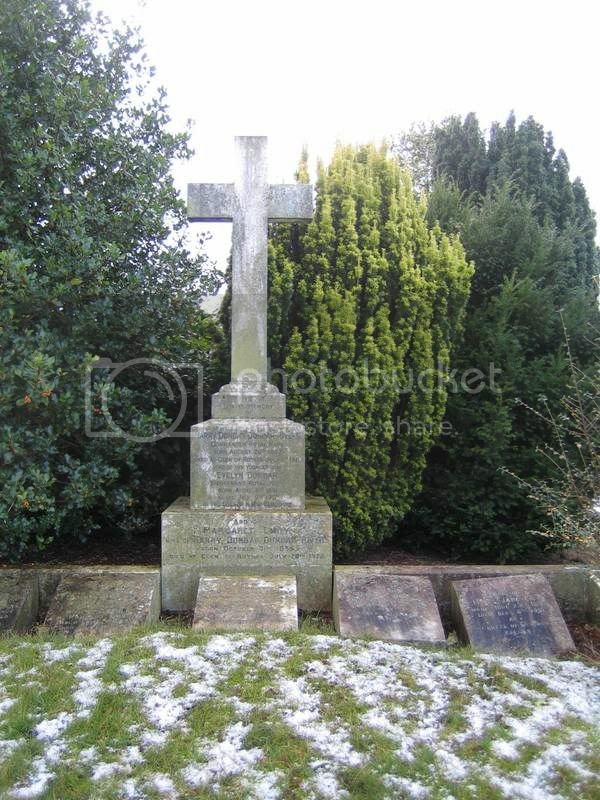 His grave stone is to the left of the main cross in the picture - I will post a cropped version shortly. Well done for finding him Roxy. London Gazetted on 25th June 1915. Born on 1st April 1883 at East Barnes, London. Died on 29th June 1965 at Elgin, Scotland. Memorial on grave at Elgin, Scotland. Between the dates 20th May and 8th June 1915, Lieutenant Commander Nasmith was in command of His Majesty's Submarine E 11 in the Sea of Marmara, in the Dardanelles. During this time they destroyed a large Turkish gunboat; two transport ships; an ammunition ship; 3 store ships and four other vessels. Having safely passed the most difficult part of his homeward journey, he then returned to attack he Turkish Transport ship. Additional information:. Admiral Sir Martin Nasmith was created a Knight Commander, Most Honourable Order of the Bath (KCB) and a Knight Commander, Most distinguished Order of St Michael and St George.. In addition he was a Knight Grand Cross of Orange Nassau and St Olaf of Norway. From 1935-38 he served a Second Sea Lord, which she followed as Commander-in-Chief of Plymouth and Western approaches until 1941. He became, from 1942-46, Flag Officer in Charge, London. Even though not a CWGC maintained war grave, you would have thought that their man could have given it a wee dicht in passing? Commander-in-Chief of Plymouth and Western approaches until 1941. He became, from 1942-46, Flag Officer in Charge, London. Quite important posts to fill during wartime I would have thought. The British and Australian submarines in the Dardanelles had quite an exciting time in 1915. Naismith's E11 entered Constantinople harbour and even landed a shore party to destroy Turkish train tracks! There may be more information out there about Sir Eric. I'm sure Admiral Nasmith VC desrves better. 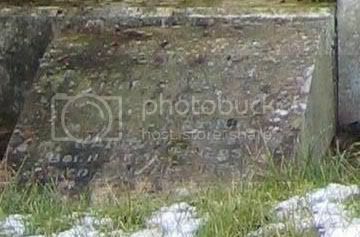 I know that some Submariners from Faslane were taking trips up to Kylesku to look after the X11th Submarine Flotilla Memorial I wonder if they knew about this gravestone if they would do something about it? I hadn't thought about the RN, Adam. I'm sure that I can find some submariner who would be keen to see the Admiral better looked after. PS If I can, I'll let you all know.